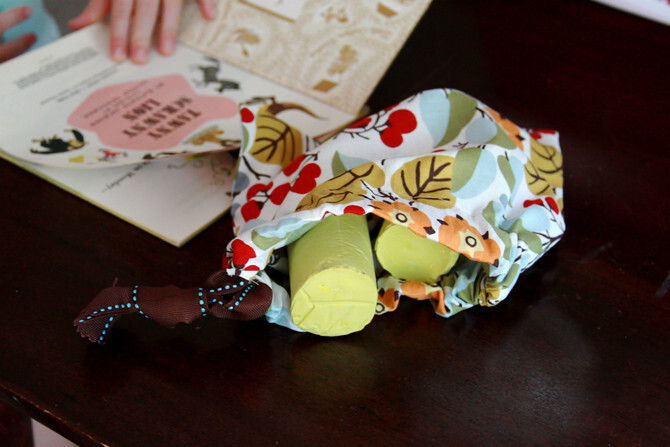 Here are my absolute favorite homemade children's gifts. Take a look and then try one you like! homemade tie dyed tee or a tee your child has decorated with fabric markers or personalized in some other way. a special storybook. I've recently enjoyed searching for gently used vintage storybooks to give to little friends. Check out local used bok stores, consignment sales, or goodwill. 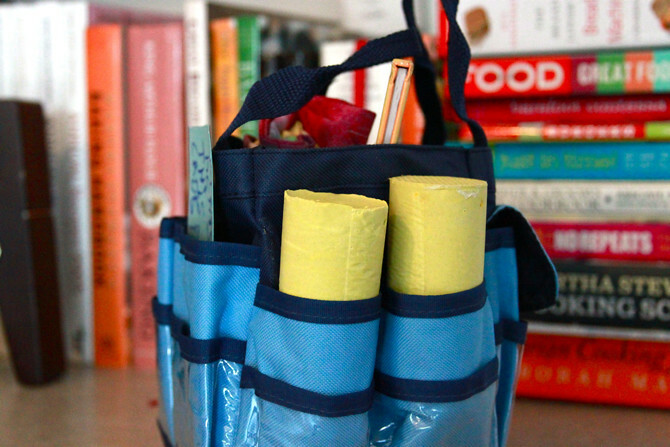 put everything in a useful tote--mine is a little garden tote. And don't forget to have your child make a personalized card to slip inside. 2. 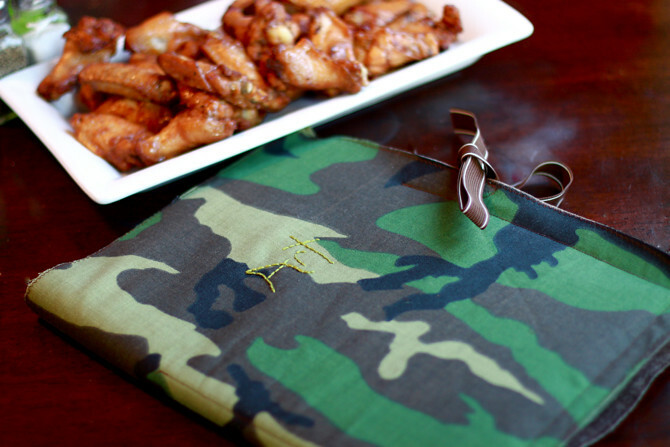 An art apron. I came up with this for my own children and realized how much use other children could get out of them. It is wipeable and stores a few art supplies close at hand. 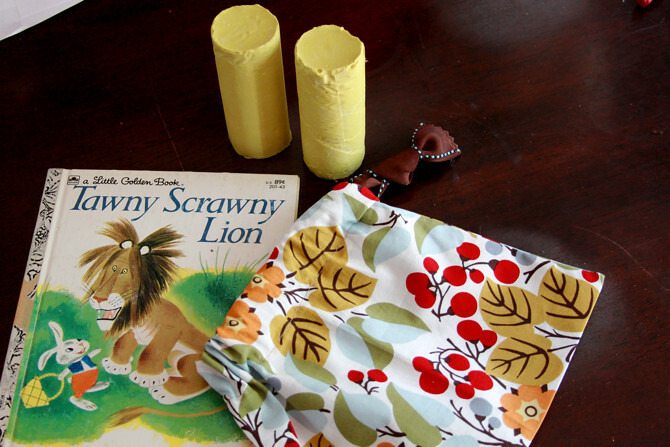 Buy a lot of this vinyl tablecloth fabric--make one for each of your children and have a few on hand for friends' birthdays. 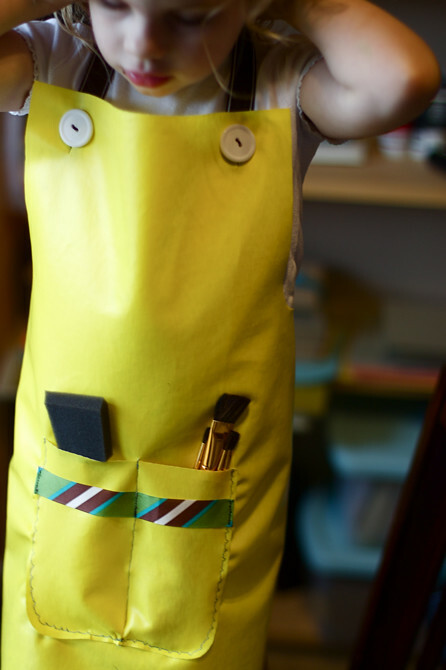 Check out the art apron tutorial here. 4. 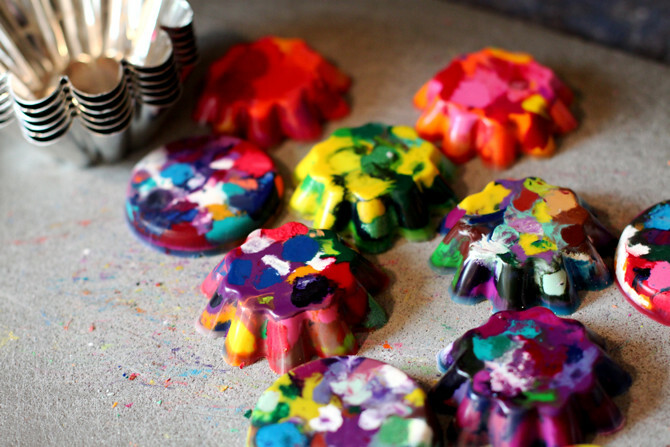 Homemade crayons. These are so fun for children to make. 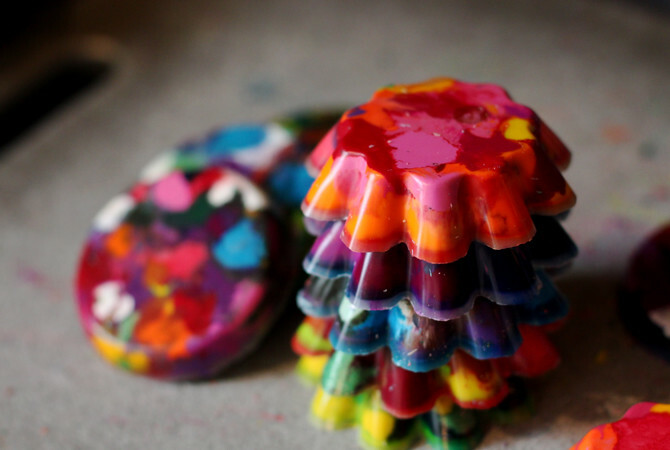 You can make a lot of these with your bits and pieces of old crayons and keep some and set others aside for last minute gifts. Stack a few and package with clear plastic wrapping paper and a ribbon. 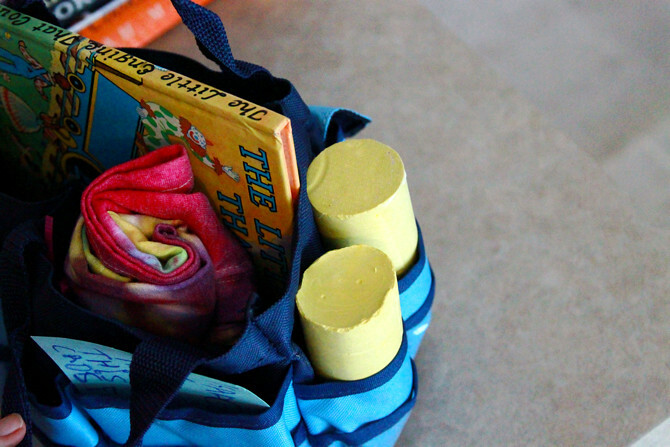 You can throw some into a summer kit or simply give a stack with a nice art pad. Try making crayons here. 5. 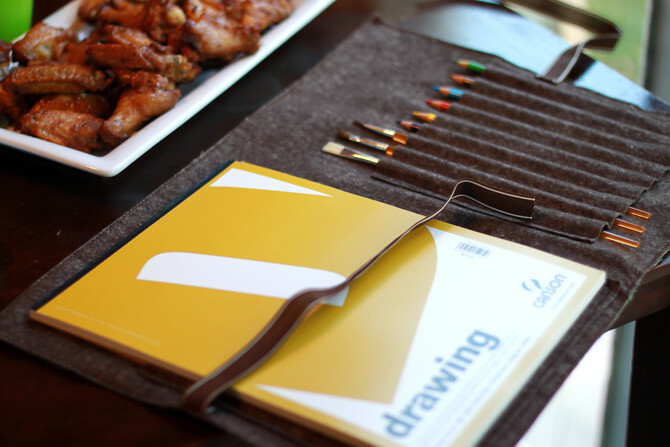 An art kit. 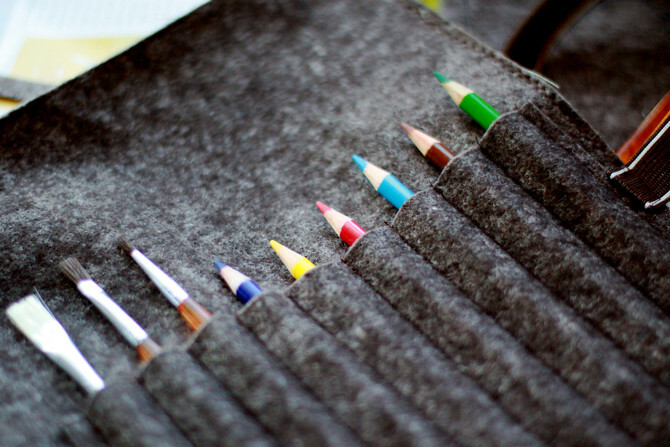 This kit holds one standard size sketchbook and a row of art supplies, like colored pencils and paint brushes. 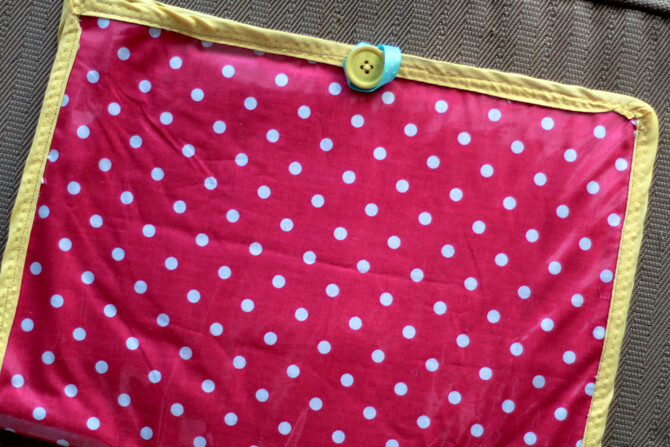 And you can either opt for closing it with a ribbon or button, like below. There is something about having an art pad and art supplies, each with their own pockets, all in one place that kids get really excited about. 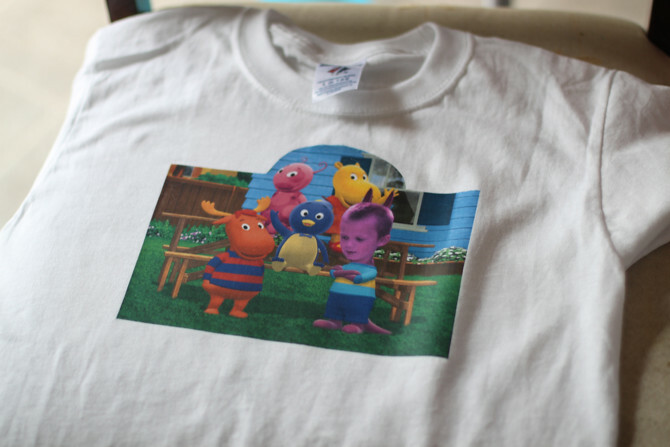 It is perfect for children ages 4 and up, even teenagers. This tutorial is for the cotton-bound kit (above). This is the art kit Caroline recently helped me make. 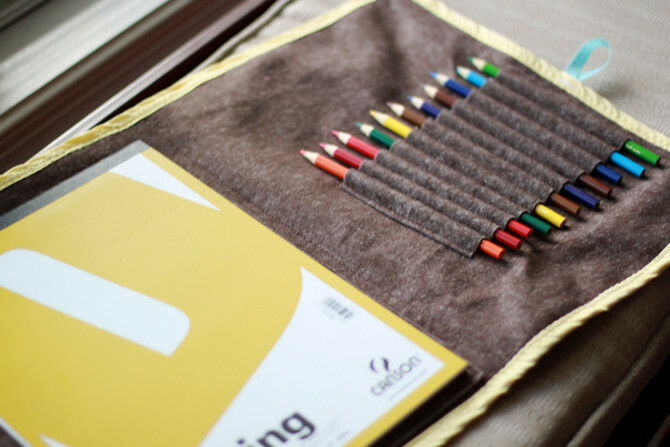 Her friend's mouth literally dropped when she saw what was inside the art kit. Caroline was beaming with pride! This particular kit has vinyl on the outside to protect it from art spills. 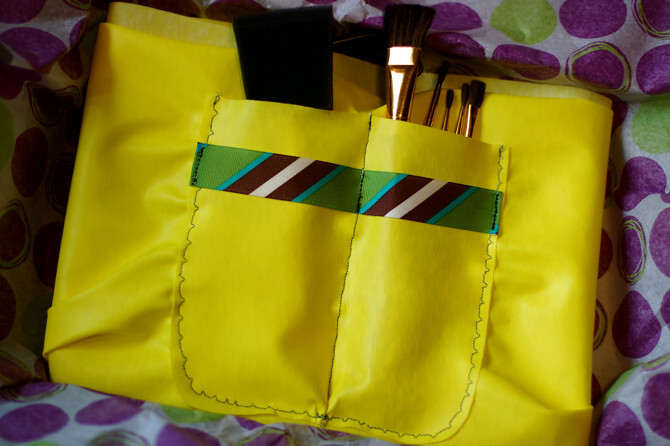 Follow the tutorial but sew vinyl over the other two layers, and bind with bias tape. 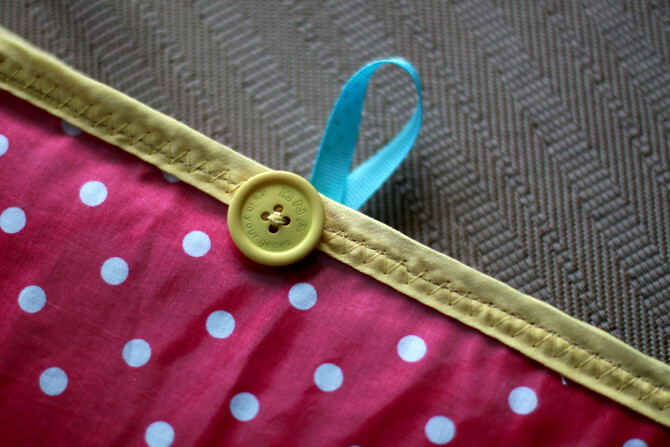 Add a button and ribbon loop for closure. Let me know what you think--what is your favorite gift above? Is there something special you like to make for children? Share it with us!